Let our fully qualified South African Tourist guide take you to the Kruger National Park, which is South Africa’s largest game reserve and boasts the famous "Big Five". This tour offers just enough time to take in the highlights and enjoy the majestic landmarks along the Panorama Route on the last day. Swaziland is a small country within the borders of South Africa, with a big heart and warm, friendly people: the kingdom embraces its unique and ancient traditions, whilst guarding and celebrating them. Swazi people are a single ethnic group comprising of several clans, united under one monarch. The Swazi character is one of friendliness and kindness, always enquiring after each others’ wellbeing when greeting each other. With the exception of desert and sea, every geographical feature of Africa’s landscape is found within Swaziland: magnificent mountain scenery with rivers, waterfalls and gorges; unique rock formations and typical African bush. This tour offers you the best of three areas in South Africa in only 5 days. You will experience the magnificent animals of the Kruger, the majestic views of the Panorama Route and get a chance to get up close and personal with the Swazi culture in Swaziland. Swaziland is a small landlocked kingdom bordered in South Africa. Experience the best of the Kruger National Park during this 3 day tour staying in a luxury hotel just outside the Numbi gate of the Park. 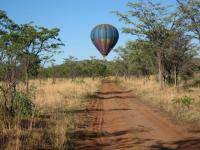 A sunset open vehicle game drive and a full day open vehicle safari in the park is included. On the 3rd day you can view the wonderful scenes and landscapes on offer on the Panorama Route.